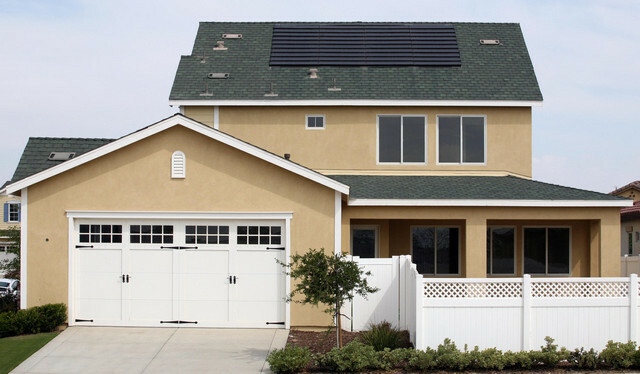 The solar kits are grid-tied systems that include Grape Solar panels, inverters, and racking systems that are ready to install onto the roofs of homes and other structures. Grape Solar says the kits are designed to be expandable, so customers can start small and grow their system over time if they wish. In order to facilitate installation, Grape Solar has developed a network of over 5,000 installers who will be available to provide locally based customer support. According to Grape Solar, it launched a test program in several markets starting in July of 2010. Customer response was apparently positive, so the program was expanded to include other warehouses in high-demand solar markets. While your system might serve as a glossy household accessory advertising your environmentalism, there’s an alternative that might ultimately be the greener option for the greater good: utility-scale solar. Big Solar As solar costs keep dropping, utilities have quickly come around to the idea that solar can and should be a part of their energy portfolio. 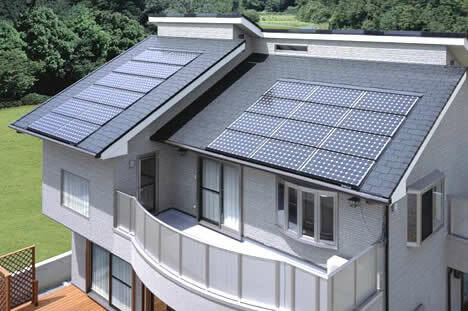 In 2010, residential, commercial, and utility solar capacity was almost exactly even. But utility-scale generation has soared over the past few years. 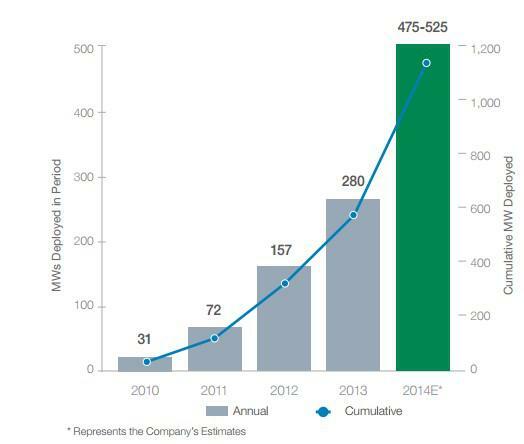 In 2013, utilities installed more than 50% of all new capacity. While that’s remarkable in and of itself, it’s important to note that 2013 solar installations increased our nation’s total solar capacity by 66% to over 10,500 megawatts. That’s unprecedented growth.